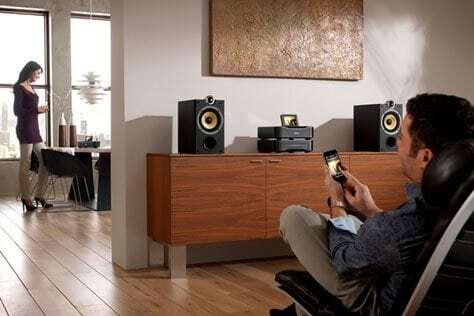 Enjoy music in any room of your home, even outdoors with whole house audio! Move from room to room with the same rich sound wherever you go. Speakers can be mounted in walls or ceilings, under eaves on your deck, even disquised as rocks in your garden. They can even be painted to match your décor, so they virtually disappear! Keypads and touch panels are mounted in walls like light switches. They’re wired into the system so that you can control the sound in a room or the entire house. We can even give you the control in the palm of your hand with one of our wireless remotes – this is a plus when you are out by the pool listening to your hidden landscape speakers. Simple whole house audio systems share the same sound in all areas (multi-room). More sophisticated systems allow different programs to be heard in different rooms at the same time (multi-source). Outdoors speakers ensure that your music can be enjoyed by the pool, or on the patio or lanai.